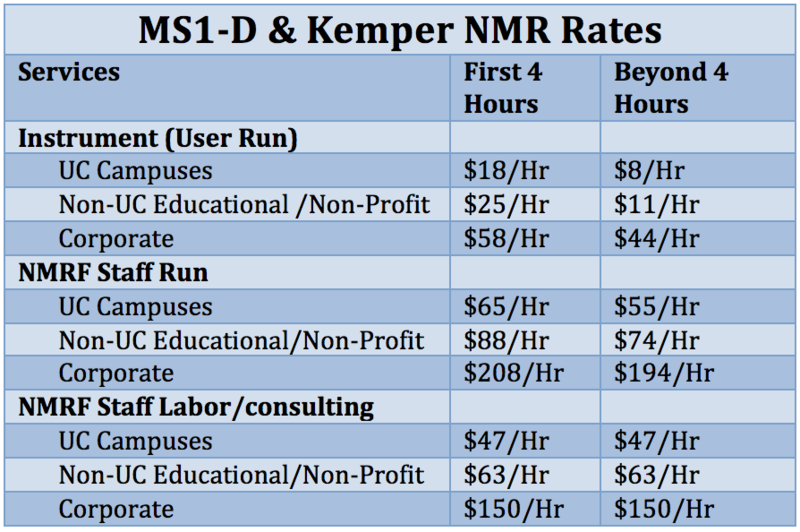 NMR Facility rates are reviewed and approved by the campus rate committee. 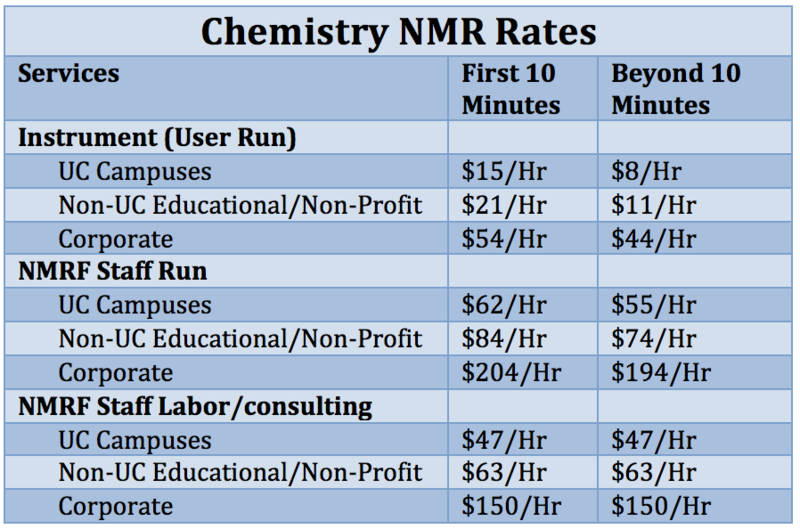 Non-University rates may vary annually. Current Non-University Differential (NUD) must be assessed to non-UC customers. Users will pay for all time for which they have signed up unless canceling at least 48 hours before the start of their run OR (preferably) arranging for another user to take their time. Monday runs must be canceled by Friday (not Saturday).